In Ant-Man and The Wasp, we catch up with Earth’s tiniest heroes. Scott Lang (Paul Rudd) is so close to completing his house arrest sentence when Hope van Dyne (Evangeline Lilly) and Dr. Hank Pym (Michael Douglas) show up to enlist his help after making a breakthrough in finding Janet van Dyne (Michelle Pfeiffer). Since he owes them for blowing their tech’s cover at the airport in Germany to help Cap, he once again dons the suit but this time joins Hope as she finally steps into the role of The Wasp. Recently, ComingSoon sat down to chat with Peyton Reed to discuss the timing of Ant-Man and The Wasp, expanding on the family relationships introduced in the first film and taking a different approach to justice with the film’s antagonists. ComingSoon: Were you aware in pre-production that Ant-Man and The Wasp would happen concurrently to Infinity War? Peyton Reed: The movie is interesting because it’s a sequel to Ant-Man but it’s also a sequel to Captain America: Civil War because what happened with Scott Lang in that movie we couldn’t ignore that and it provided us an interesting and organic jumping off point. I kept thinking what do Hank Pym and Hope think of the fact he took that suit and got involved in some Avengers in-fighting and exposed Hank’s tech to Tony Stark. That’s Hank Pym’s worst nightmare. It led us to place where wouldn’t it be cool if a couple years later Scott is on house arrest and he’s gotten Hank and Hope in trouble and they’re estranged in the beginning in the movie. That’s the starting point of the movie and circumstances force Hank and Hope back into Scott’s life and they have to form this uneasy partnership. That seems like really cool place to start. We knew it would be sometime after Civil War. CS: The film focuses on all these relationships. It has the estranged relationships. Hope has a point: if had she been at the airport in Germany, they would have gotten away with it. Reed: I like the idea that in a movie called Ant-Man and The Wasp, it’s pretty clear that Hope is the more capable of the heroes. She’s definitely the most committed and the one who’s waited the longest. You see that in the first movie she’s the better person who’s better equipped to handle the plan that Hank wouldn’t allow and didn’t want her to meet the same sort of fate as his wife. But not that she’s a full-on hero and she’s trained, she’s smart and decisive, one of the things that I ran with was this idea of “Do I need a partner? And if I need a partner is it gonna be Scott Lang?” Every time Scott puts on the suit, it’s created a lot of complications for him. So he’s trying to figure out his work life balance. “Is there room in my life to be Ant-Man?” because it’s threatened to keep me away from my daughter a couple times. These people are both heroes but have very different approaches to being a hero. CS: And the way it complicates the relationship between Scott and Cassie reflects the way the it affected Hank and Janet’s with young Hope. Was that where you wanted to keep the focus for this film’s themes centering around family? PR: I really like that the Ant-Man movies are more intimate, they take place in a corner of the MCU in San Francisco and the mission at hand in this movie, is the most intensely personal mission you could imagine and I like that the movies are about family and I think that’s one of the strengths of it. I also like that it takes place in our real world. Scott Lang is not a genius, he’s not a multi-billionaire. He’s a person who’s made mistakes and Hope is the daughter of these two legacy heroes trying to find her identity as a hero.I like that’s it’s sort of their relatable issues. Their family oriented issues. CS: The film takes a different approach to justice. The antagonist isn’t necessarily a villain in that the end goal is to have them arrested or taken care of. They along with their partner have motivations with high stakes. And so it sort of seems that the film explores justice being more through how it transforms all the relationships with healing. Following the big bad of Thanos, was it intentional to bring us something different? PR: It’s something we’ve thought about, particularly given the tone of Ant-Man and The Wasp, we wanted a villain who didn’t feel out of place in our world. 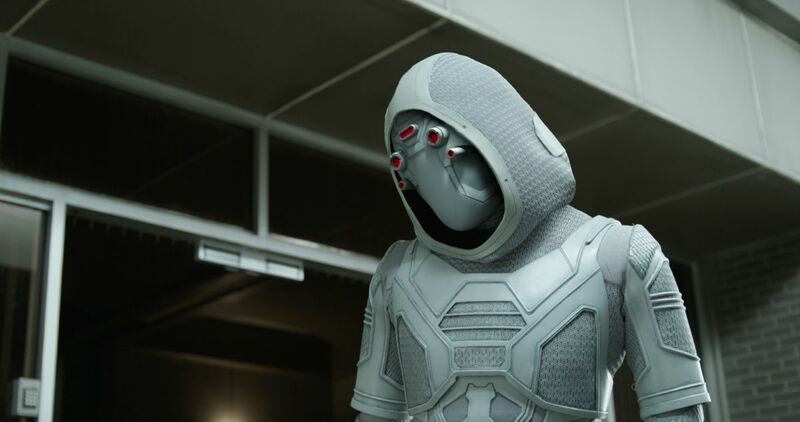 Part of it was figuring out the Ghost character, who was a man in the comics, but who’s power set seemed interesting to put Ghost up against a combined team of Ant-Man and The Wasp but we liked the idea of staying true to our thematics. We liked the idea that was about forgiveness and atoning for past sins and can Hope find forgiveness for Scott for the stuff that he’s done and really sort of these occurrences in Hank Pym’s past that come back to haunt them. I liked the idea from the beginning that Ghost could have these powers but the powers are a burden and it’s really an affliction, and her main goal of the movie is to find a cure for this. CS: The ensemble is fantastic and seeing Laurence Fishburne come in as Bill Foster and seeing him play off of Michael Douglas was great. Was he someone who you had in mind as Bill while casting? PR:I was a Marvel comics kids while growing up and Bill Foster was a character I loved. I loved the idea of Goliath and a character in our movie who was sort of a rival to Hank Pym. Each scientist thought he was the smartest guy in the room. To have that character to play against Michael Douglas you need an actor who’s really got some gravitas and can hold his own. Laurence Fishburne was my first and only choice, I was thrilled he said yes. What I didn’t know about him is that he’s such a comic nerd and I mean he really is. Even in his downtime, he’ll read some graphic novel. He runs deep in nerdom. He was just a joy to work with and sort of between takes people will ask him questions about spending a year in the jungle on Apocalypse Now and The Matrix. All these stories. CS: We want to tread lightly around happens in the film and the repercussions from Infinity War, but were there any directives you were given from the Marvel? PR: The Marvel Cinematic universe is this constant evolving creature. I think it’s interesting because a lot of of people ask “What were you told you had to do in this movie? What did you have to service?” We weren’t told anything we had to do this movie and one of the cool thing is, I find myself asking that question sometimes with Kevin Feige about ‘Do we need to do this?’ and he says ‘No, do what’s best for this movie and the people who come after you are going to have to figure out what to do after that.’ which I think is a great attitude. One of the great things about the MCU is keeping it fresh and giving room to new heroes to share center stage. CS: Ghost is great and someone that I hope makes it into more movies. We’ve seen Loki throughout multiple films have his arc and she’d be interesting to see more of. PR: There’s a lot to be decided about the Ghost character in terms of how we leave that character and what is next. It can go a lot of different ways. Ant-Man and The Wasp opens this week! 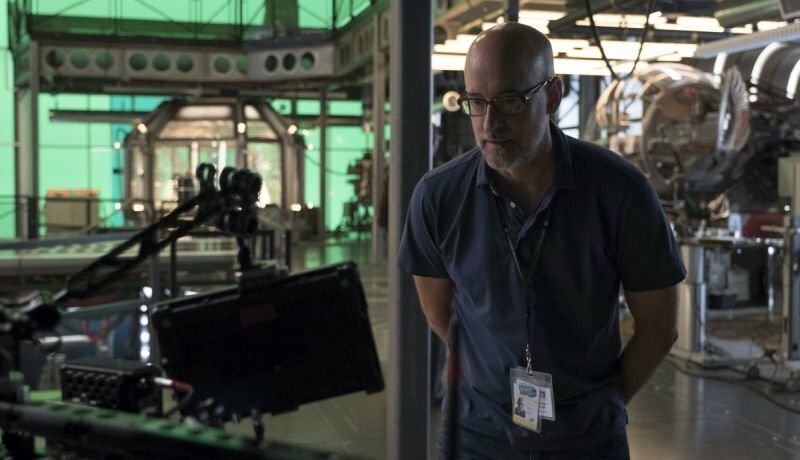 The post Exclusive: Director Peyton Reed on Creating Ant-Man and The Wasp appeared first on ComingSoon.net.